Do you get the following error when updating your theme? 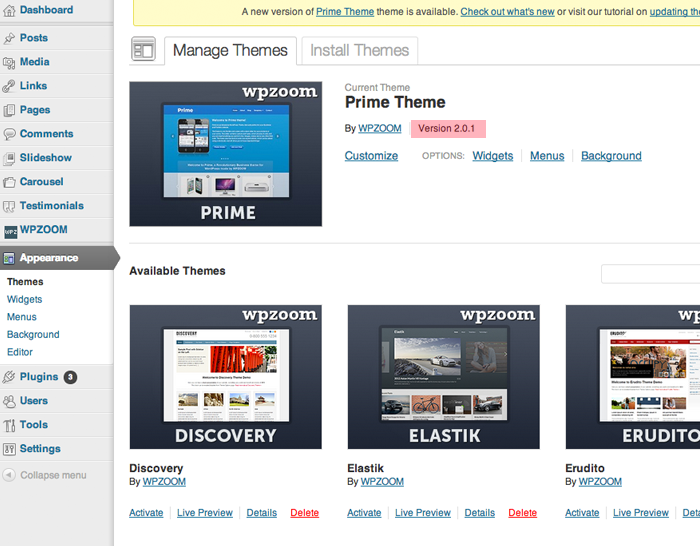 All purchases from WPZOOM offer you a license key that you can enter on your website to enable easy theme updates. This feature is available beginning with WPZOOM Framework version 1.8, so if you are currently using an older version of the framework please update it first. 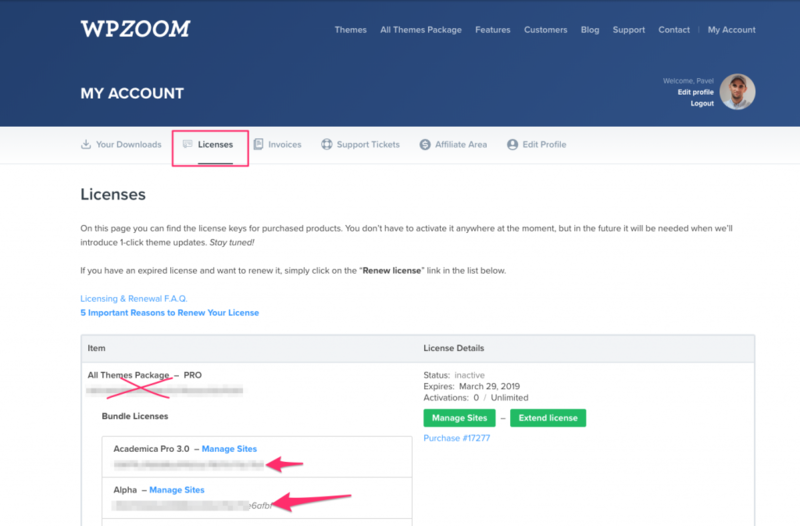 If you’ve purchased the All Themes Package, then you will get a license for each theme individually, so make sure to use the key for a specific theme, not the general key for the package. 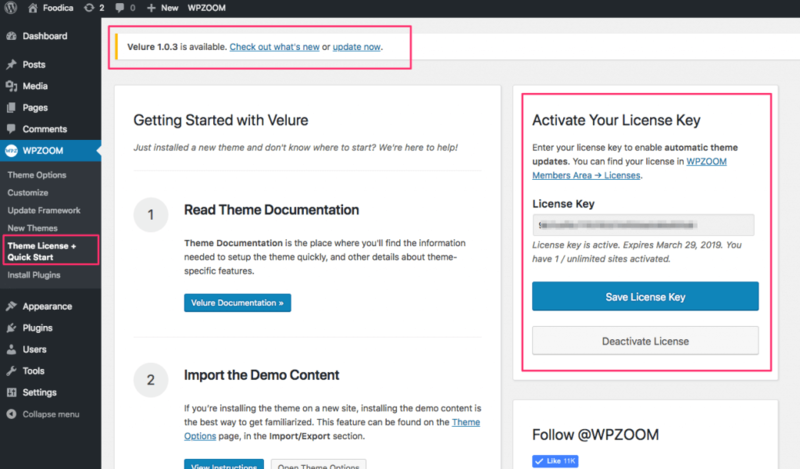 All you have to do is to enter your license key which you can get on the Licenses page, in the WPZOOM > Theme License page. As long as you have activated your key, you will receive automatic updates. That’s it! Automatic theme updates are set! 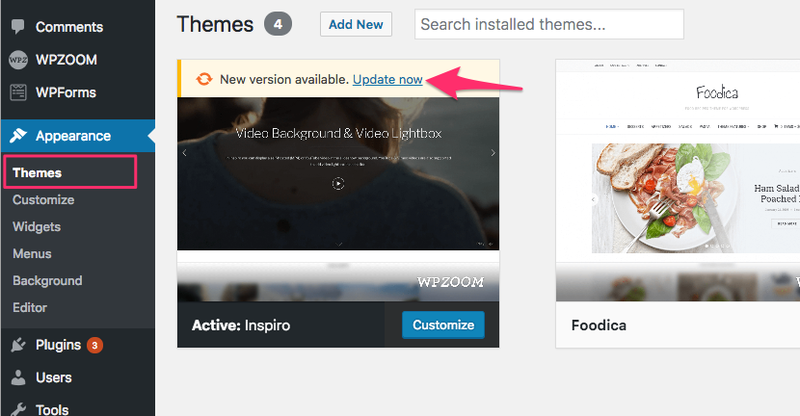 You will receive the theme update notification, once an update will be available. You will be able to update the theme with a click of a button. 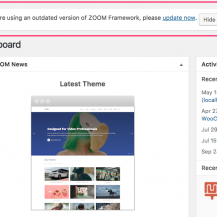 If you don’t have the WPZOOM > Theme License page, then you need to first update the framework of your theme to the latest version and then setup the automatic updates. License keys can’t be activated when the theme name was changed in the style.css file. License keys can’t be activated when the folder name of the theme was changed. No customizations or changes made to Widgets, Menus, Customizer (Fonts, Colors, Logo, etc.) will be affected when updating your current theme. Make sure to backup only changes you made directly in theme files. We recommend you to create a Child Theme if you want to make changes in theme files. Don’t forget to backup “custom.css” file and /languages/ folder if you added any custom stylesheets in the custom.css file or translated your theme in a different language. Sometimes things go wrong. For this reason, we recommend you make a backup of your theme before continuing. Please look here for plugins that allow you to export or create a backup of a theme installed on your website.